was a bittersweet year for Malaysia and the whole nation mourns. 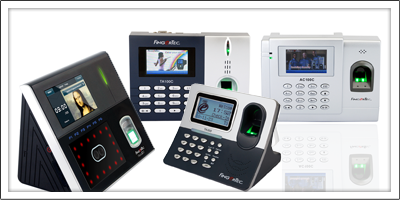 But the show must go on and for FingerTec, the year 2014 marked the transformation from a company that has been focusing on providing combined solutions for time attendance and door access security for a decade to providing dedicated solutions on each segment of the market. Ingress solution is taking FingerTec to another level in the security industry and TimeTec Cloud continues to be our main solution for the cloud business for advanced time attendance solutions. Let’s recap what we have done in 2014. One of the main indicators of robust product is the length of the warranty period and FingerTec further strengthens its position in the market by offering 36 months warranty period from the previous 24 months at the beginning of 2014. All our customers and resellers around the globe opportunely welcomed the revised warranty period. In July 2014, the growing research and development team of FingerTec made their way to occupy FingerTec’s brand new office located in the hub of IT, Cyberjaya Malaysia. The newly renovated and refurbished Headquarters of FingerTec remains in Bandar Kinrara, Selangor, Malaysia. There’s no excuse for not learning FingerTec the right way. FingerTec is offering webinar sessions online for all our customers and resellers. Book a seat, listen, learn and ask question. It’s not getting any simpler than learning from the comfort of your own space. In our effort to stamp our brand as a renowned solution provider, CMMI certification is inevitable. FingerTec is Level 3 CMMI certified company and we will strive to offer continuous business improvement for the benefit of everyone involved. FingerTec is offering Scholarship Program to Malaysian students pursuing first degree in Software Engineering in public or private local universities. This financial aid will help excellent and dedicated students to achieve their dreams and provide them with the opportunity to work with an international company. 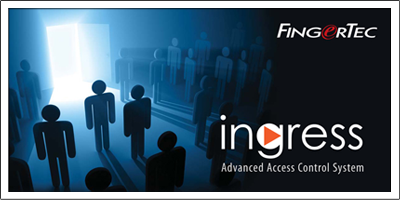 Ingress was designed exclusively for door access solutions but from the market feedback gathered, time attendance has become a considerable part of our business and we introduced comprehensive time attendance features in Ingress to cater to the market requirement. TimeTec Cloud has been integrated with the world’s famous customer relationship management system (CRM), Salesforce.com. Combining this world-class solution with TimeTec Cloud solution offers non other than convenience to millions of users worldwide. With the new and improved core board comes the fresh facelift of FingerTec’s hardware interface. The program contemporary look excites the resellers and customers alike.